Denver, Colo. - March 8, 2013 - Leigh Hitz, president and chief operating officer for Stout Street Hospitality, today announced that Magnolia Hotel Omaha was recently named the company&apos;s 2012 "Property of the Year." The award was granted based on a combination of factors including guest service scores, employee satisfaction and retention, property revenue and more. "We are honored to be recognized for the hard work of all of our associates," said Tim Darby, general manager of Magnolia Hotel Omaha. "We had some big goals in 2012 and our team worked really well together to achieve these milestones. The result of this hard work is evident in our customer service and employee satisfaction scores." "We definitely aren&apos;t surprised by the positive feedback we get about our cookie service," joked Darby. Magnolia Hotel Omaha, along with all Magnolia properties, provides a bed time cookie buffet featuring freshly baked, warm sweet treats directly out of the oven. 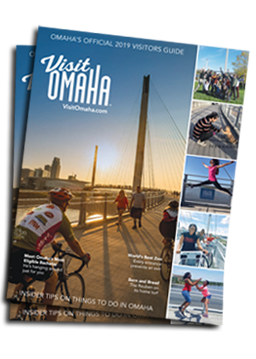 The 145-room Magnolia Hotel Omaha is located near many of downtown&apos;s finest attractions, including the historic Old Market, the Orpheum Theatre, Omaha Children&apos;s Museum, Holland Performing Arts Center, Joslyn Art Museum and the CenturyLink Center. Named to the National Register of Historic places in 1974, the property also is conveniently situated near all major corporate headquarters and offices in downtown Omaha. The property features boutique-style guest rooms and suites, along with a hip, urban bar and lounge. All guests staying at any Magnolia property receive complimentary daily American breakfast buffet, an evening reception featuring complimentary domestic beer, Magnolia Reserve wine and soft drinks as well as a bed time cookie buffet, transportation service and high-speed Internet access.